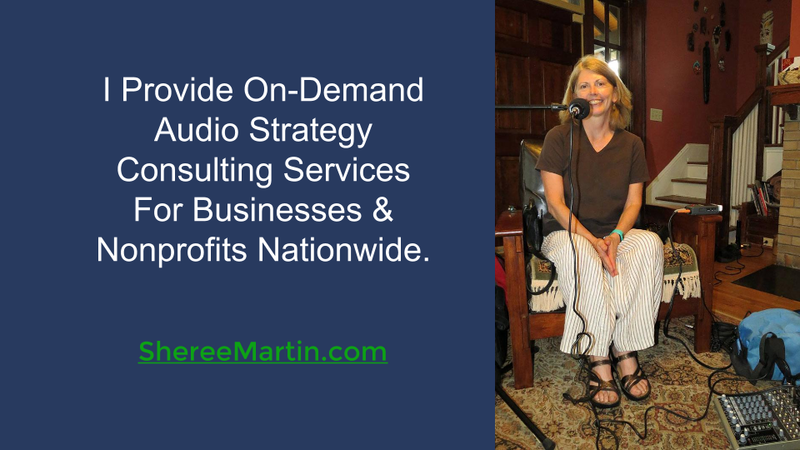 Sheree Martin is your on-demand business audio content strategist and producer with a focus on B2B and professional services providers. Sheree has 12 years experience as a business transactional lawyer and an extensive portfolio of work in the digital and print content space. I help businesses and nonprofits develop audio content strategies for inbound (content) marketing. Podcast listening is booming. 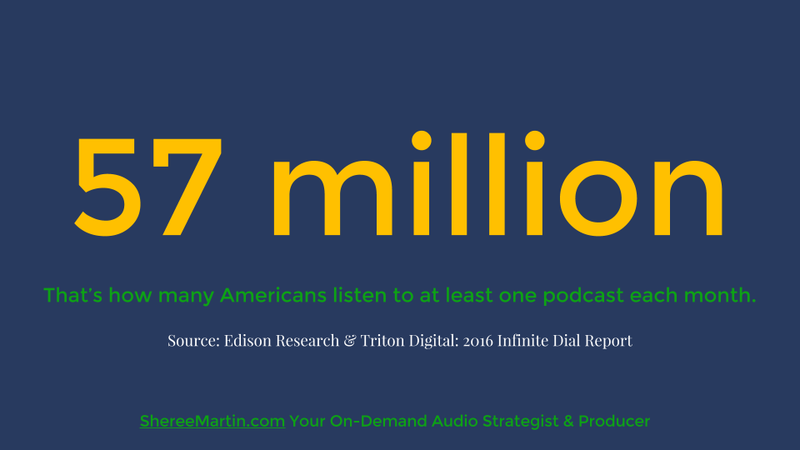 See the Podcast Audience Fact Sheet for the latest statistics [in development, coming March 13, 2016]. 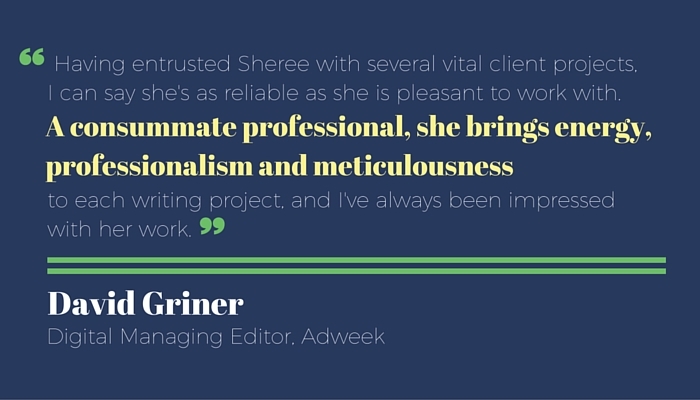 Interested in working with Sheree? The term “podcast” was originally coined to refer to digital audio talk shows that listeners subscribed to using an RSS feed, usually through iTunes, and played through an iPod or computer. Today, “podcast” is usually a synonym for any type of on-demand, “talk radio” audio file distributed through some internet channel in .mp3 format for easy playback on any type of device. 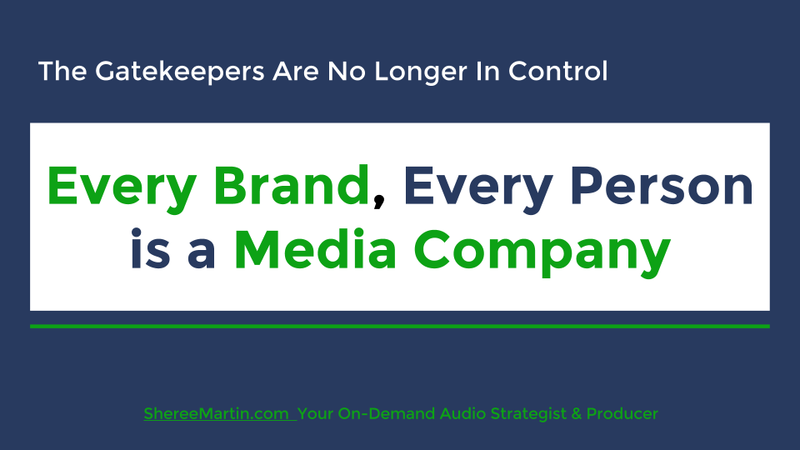 I often use on-demand audio, on-demand radio, and podcast interchangeably, depending on the audience. Everyone understands the concept of on-demand radio—that’s what a podcast is. Why should a business have its own on-demand radio station? Thanks to the smart phone tablet explosion, listeners can access podcasts anywhere, anytime. One of the best places to reach an audience is in the car, but traditional radio advertising is ephemeral, expensive and hard-to-target. 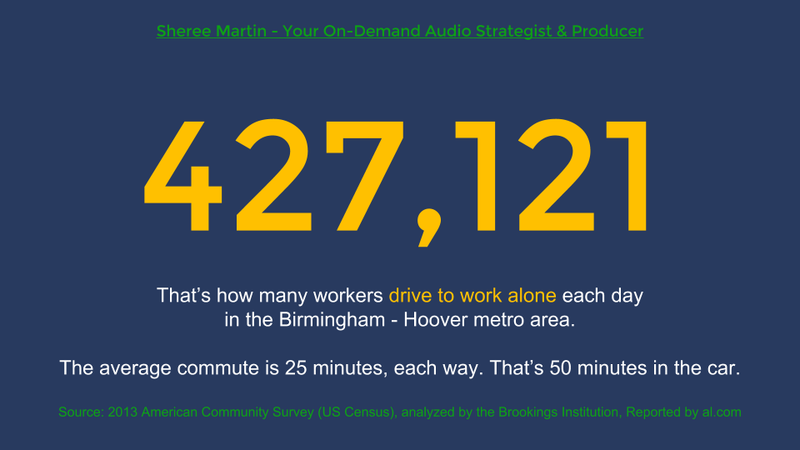 427,121 are alone in their vehicle during the commute to and from work. I began podcasting in 2012 and even included a podcasting module in the social media / content marketing course I developed at taught at Samford University. I was a little bit ahead of the curve because not everyone in 2013-2014 saw podcasting as a marketing tool for business. Serial was released midway through semester the last time I taught the course and students suddenly “discovered” podcasting and began to think differently about how businesses and nonprofits could use audio content to tell a brand story. Podcast strategy consulting is a natural fit for my experience and skillset. I went “online” in 1990 when I joined Prodigy and never left). I began podcasting in September 2012, after I spent the summer devouring online resources to teach myself everything I could about podcasting. I never took a formal course in podcasting technology, although I certainly benefitted from the free resources provided by others like Cliff Ravenscraft, Dave Jackson, Daniel Lewis. 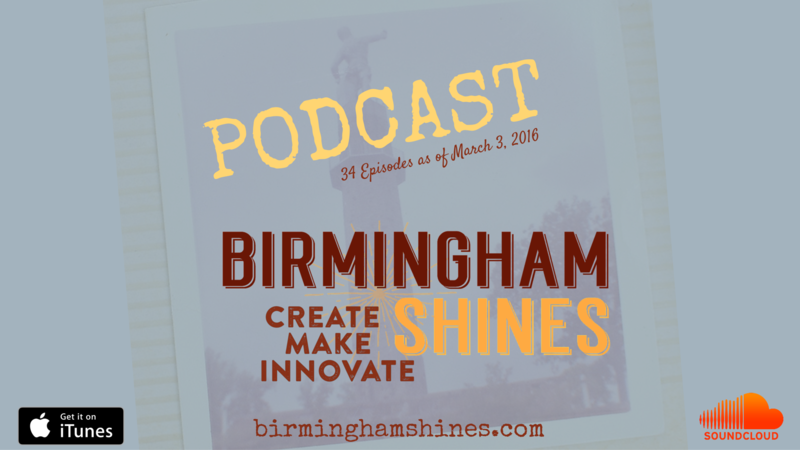 I started with the Shine Springs Farm Shinecast (2012, still available, details coming) and added Birmingham Shines in May 2015. 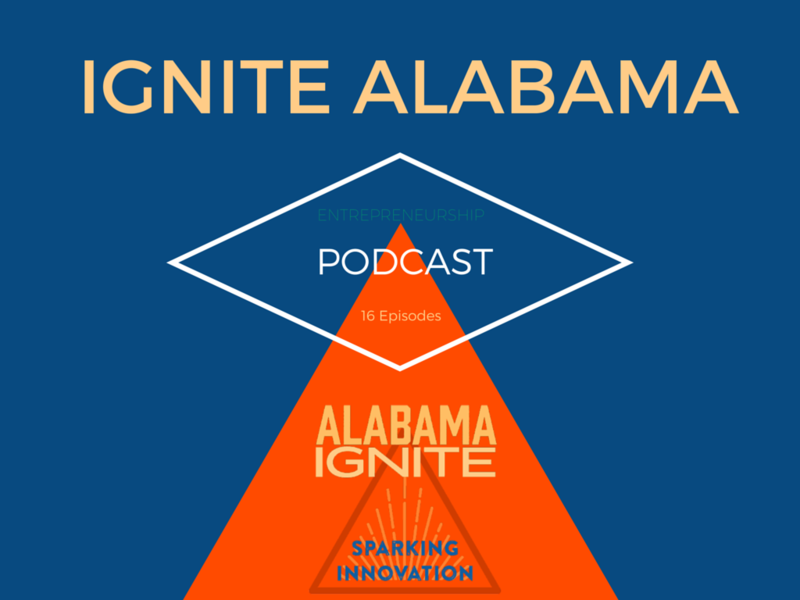 The Ignite Alabama podcast was my third show. Discover Grow Shincast is my dream show and it's still in the early stage of development, although 8 episodes have been released. A detailed professional profile of Sheree Martin is available here. I transitioned from a successful 10-year career as a business lawyer in 1997 to a focus on freelance writing for industrial trade publications and strategic copywriting for other market sectors. I also earned a Ph.D. in Mass Communication and spent a number of years in academia as a full-time college assistant professor.